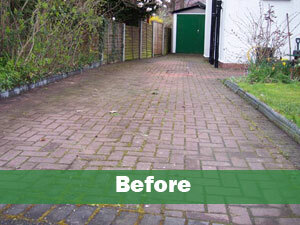 Are you fed up with the state of your driveway or patio? Why renew when you can restore for a fraction of the cost and save £££s. 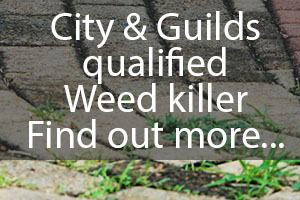 We are the longest established business in the region and have just achieved City & Guilds certification enabling us to apply professional grade weed killer to your property. We also clean Conservatories and Decking. We work on both domestic and commercial properties, one-off and contract work. We are specially trained in surface restoration, protection and preservation. We have invested in the latest high-tech equipment and working closely with our suppliers use the most sophisticated sealers that are available. We maintain the highest standards where attention to detail and complete customer satisfaction is of paramount importance. No payment will be requested until the work is fully completed and you are totally satisfied. For even more peace of mind why not have a look at a selection of our testimonials. For more information please visit the Questions and Answers section. 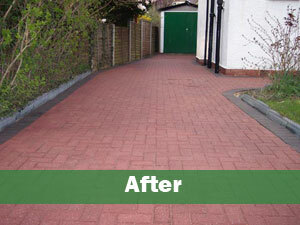 Driveway Medic, 15 Kiln Close, Buckley, Flintshire, CH7 2JR.